I ONCE KNEW AN INDIAN WOMAN. 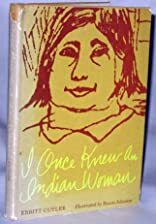 The author describes the greatness of an illiterate Iroquois Indian woman she came to know during summers at a small French-Canadian resort village in the Laurentians. About Ebbitt Cutler (Author) : Ebbitt Cutler is a published author of young adult books. 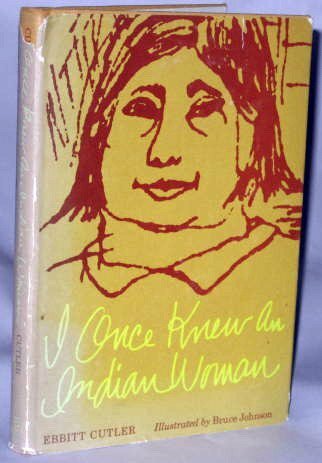 Published credits of Ebbitt Cutler include I Once Knew an Indian Woman (Tundra Paperback).